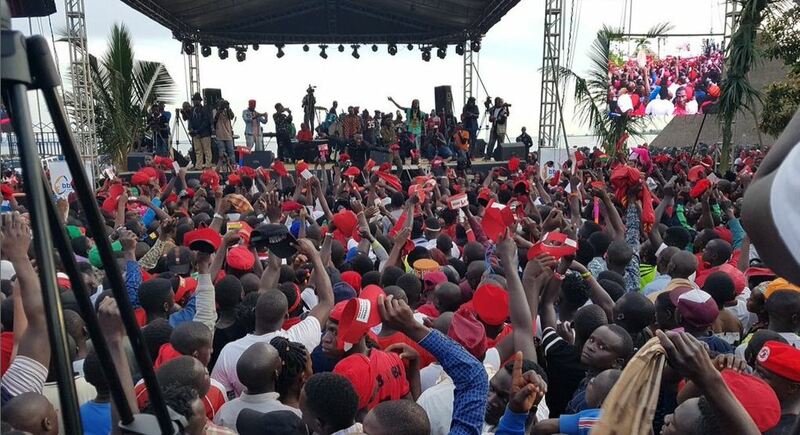 BUSABALA – Whoever thought, Kyarenga album launch had hit a snag after Namboole administration failed to host it, was wrong. Guess what?!! The new venue, revealed on short notice, was filled to capacity. And yes to capacity with majority fans donned in red People Power T-shirts with berets on their heads. A simple estimation can derive at 45,000 – 55,000 people. Yes! all at Busabala One Love beach. 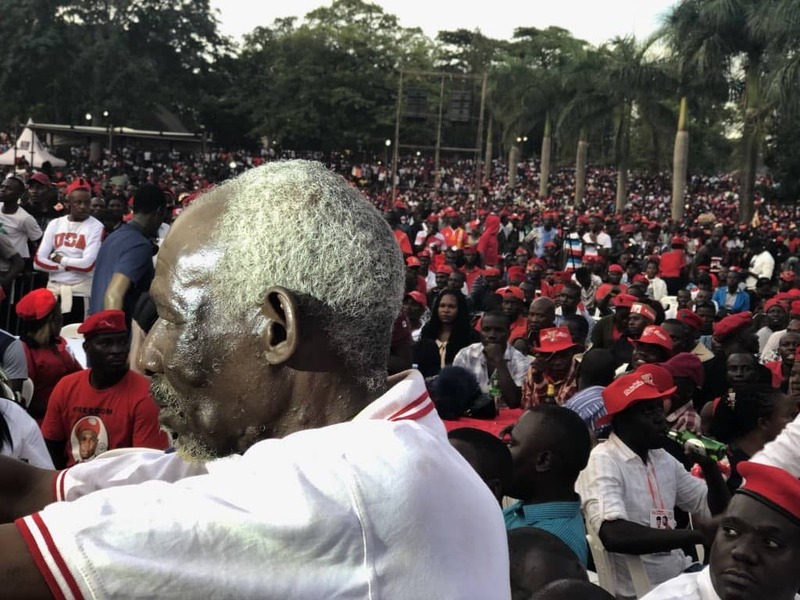 All the People Power inclined Members of Parliament including as Fred Mukasa Mbidde, Joseph Sewungu, Francis Zaake, Gerald Karuhanga, Barnabas Tinkasimire are also in attendance. Even the oldtimers turned up. It was an inter-generational concert featuring the ghetto youths, uptown youths, legends and poppers, hustlers and weaklings all there to celebrate one thing – their power. 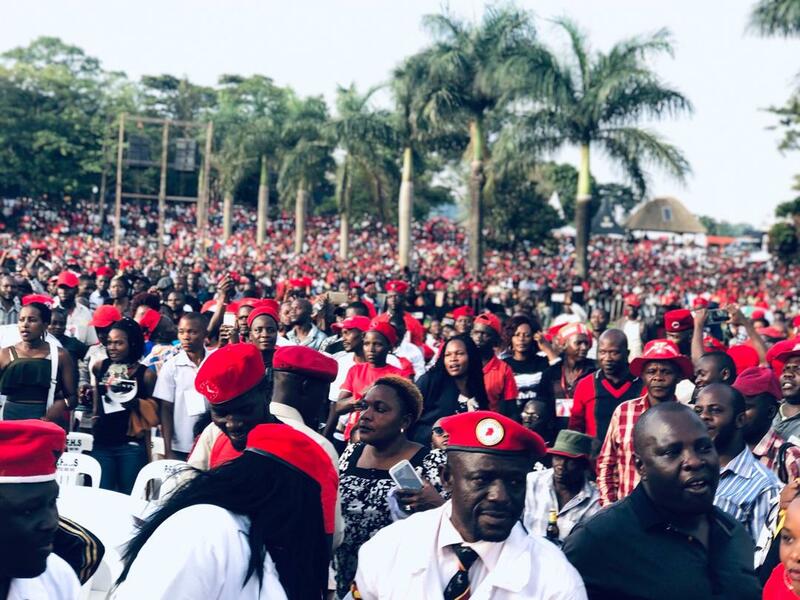 They said it was a show for the local folk but social media says otherwise, by 9 pm on November 10, Kyarenga Concert was the most trending hashtag on Twitter.